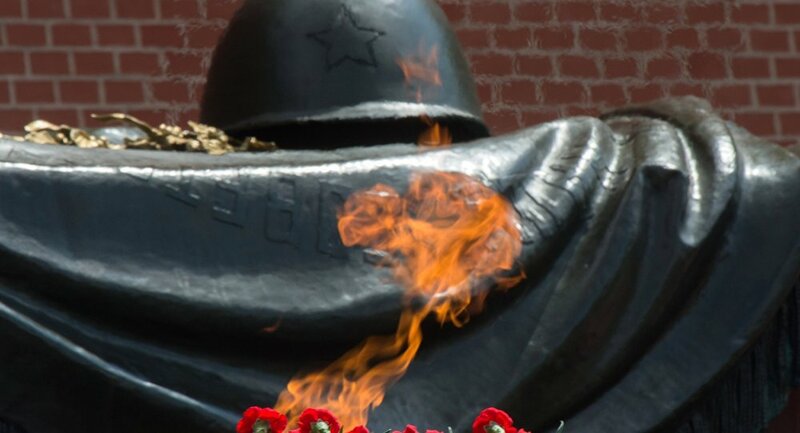 MOSCOW (Sputnik) — US Ambassador to Russia John Tefft laid a wreath at the Tomb of the Unknown Soldier in Moscow on Friday to commemorate the sacrifices of the USSR army in World War II ahead of the Victory Day. "Today it was my honor to visit the Tomb of the Unknown Soldier and lay a wreath to commemorate the sacrifices of the brave soldiers of the Soviet Union during World War II," Tefft said in a statement. The diplomat reminded that the war had affected the lives of hundreds of millions of people around the world. "We have a deep and abiding respect for the tremendous sacrifices made by the Soviet people during the Great Patriotic War. I am proud that our two nations stood arm in arm in fighting together the defeat the scourge of Nazism," Tefft said. On May 9, Russia will commemorate the 71th anniversary of victory over the Nazi Germany in World War II and honor the memory of those who fought against fascism in celebrations across the whole country.